Frankly, it’s one of the best ways to start selling stuff online; and that’s coming from someone who has thrived in this bookselling business for the past three years. And guess what? I’m still loving it. The reason why selling books on Amazon is a great way to get started is that you can launch your business without spending thousands on inventory. There’s less financial risk involved. Plus, if you decide you want to start selling private-label products too, your book sales will help you raise the necessary funds to launch your first Amazon private-label product. My book inventory when I still sold FBM. Long before I made six-figures selling my own branded products on Amazon, I sold books. And while my bookselling method was a little different than the one used by my competitors, it primed me for the even bigger and even better things to come. But a little background first. This is how I became a bookseller. It all started with a nine-to-five job. And I hated my nine-to-five job. Hated it. 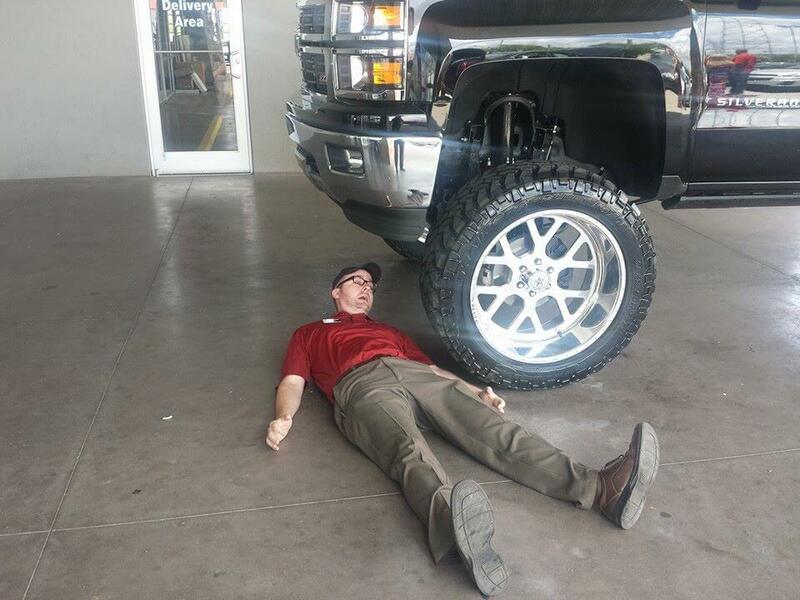 It was back in 2012, and I was hired to sell cars (yep; all the bad stuff you hear about car salesmen is 100% true, at least in this case). After three years, I’d had enough. 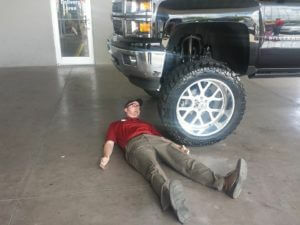 My life as a car salesman – I just wanted it to end! So, in 2015, I started looking for a way out. I always wanted to be an entrepreneur. But, like many, I didn’t know how or where to begin. I was scared to make a move. Then, my internet searches led me to blogs and videos about passive income. That’s how I discovered bookselling. I didn’t have a lot of money to start with either. Just a few hundred bucks. And frankly, I didn’t want to risk even that. I mean, who wants to risk losing their hard-earned money, right?! Thankfully, I had another option. I had an old comic book collection gathering dust, so I figured it was the perfect opportunity to try selling on Amazon, almost risk-free! I’d sell the comics I’d been meaning to sell for a while and learn the ins and outs of selling on Amazon, all without having to sacrifice my savings. So, with the thought of being my own boss in the back of my mind, I typed that life-changing address into my search bar: www.Amazon.com. Back then, I had no idea that selling on Amazon was a thing. I thought like I’m sure many do, that nearly everything sold on Amazon was sold by Amazon themselves. Nowadays, I know better. In fact, I’m willing to bet that more than half of what’s sold on Amazon is sold by third-party sellers. In fact, a 2018 CNBC article mentioned that in Amazon CEO Jeff Bezos’ recent letter to shareholders, he said that, in 2017, third-party sellers were responsible for more than half of Amazon’s sales for the first time. He also stated that 140,000+ businesses selling on Amazon made more than $100,000 in sales. So, as you can see, there are a lot of third parties selling on Amazon. And many of the products they’re offering are books. A lot of books! 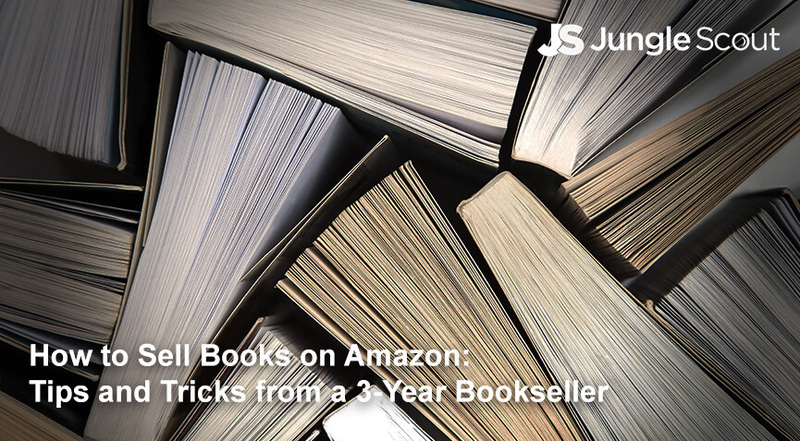 At the beginning of the year, books for sale on Amazon numbered 53.38 million. Yes, MILLION. But what does that mean for potential booksellers like you? Well, this just proves that a huge number of people turn to Amazon to find their next book. And with the average American reading 12 books a year (and 90 million subscribed to Amazon Prime), selling books on Amazon is a surefire way to get your online business off the ground. Fulfilled-by-merchant (FBM): You create a listing on Amazon, and pack and ship the product yourself. This is good for sellers who’ve already got a pretty solid fulfillment network in place. Amazon Vendors (AMZ): You sell your inventory directly to Amazon through their vendor central services. 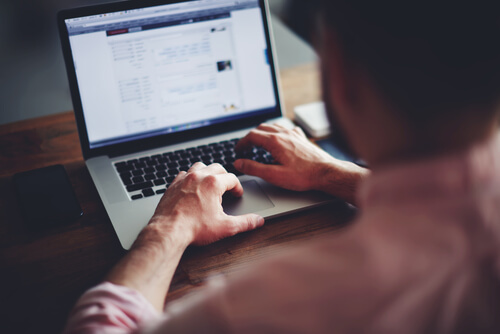 This is good for enterprise sellers who need to unload a lot of inventory quickly. Fulfilled-by-Amazon (FBA): You create a listing on Amazon, but Amazon stores, packs and ships your products, for a fee. As a bonus, FBA sellers’ products are eligible for Prime’s fast, free shipping. This is probably the most popular choice among new sellers. Even listing books on Amazon is easier than listing other products. Instead of creating an entire listing from the ground up, when you list a book on Amazon it goes under something called a Master Listing. 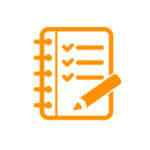 From there, titles are listed under the Master Listing and organized by condition and price. MUCH easier than building a full-blown listing, right?! Furthermore, if you’re the lowest priced listing (and your seller rating isn’t too out-of-whack, but we’ll touch more of that in a minute), you’ll grab the coveted BUY BOX. It’s the all-important orange “Add-to-Cart” button; the one shoppers click on to buy a product – hopefully yours! Price your product the lowest on a listing and you’ll earn the BUY BOX, which increases the chances of your product selling tenfold. I remember exactly where I was when I got my first Amazon sale. It was about 4:00 pm on Thursday, April 23rd, 2015. It was my copy of The Walking Dead Compendium Vol. 1. I had the Amazon seller app, so the moment it sold I got a notification on my cell phone. And then, just a few hours later I sold another book. Two in one day! A pile of books waiting for me to list them on Amazon. Once I got those first sales, I dedicated my time to learning more about selling books on Amazon. One of the key things I learned was the importance of its best-seller-ranking system (BSR). You see, if a product sells, even a single unit, then Amazon assigns the item a BSR. The lower the Best Selling Rank, the more sales the product makes. So, for example, if a book has a BSR of 1, that means it’s the best selling book on Amazon. A #1 ranked book would sell multiple copies every single day. On the other hand, if a book has a BSR of 2. million, it could take 60 days or more to sell a single copy of the book. Bottom line: the lower your product’s BSR, the better. Best-Seller Ranking (BSRs) are your guide to whether a not a book is worth listing. Lower is better. When I sold books, I rarely listed books that had a BSR higher than 200,000. I would manually type all of my books’ International Standard Book Number into Amazon (ISBNs are codes books are given to keep them organized), and then I cross-referenced the IBSN with the each book’s BSR. If it was lower than 200K, I listed it. If it was higher than 200K, I put it in the “donation” pile. Months passed. I was selling roughly 10 books per day and making a decent profit, too (although, I probably could have done better had I been using a certain profit-tracking tool… more on that in a moment). However, the big problem I was running into was that packaging and shipping books myself was taking up a ton of my time. That’s when I discovered FBA. One of Amazon’s massive fulfillment centers. 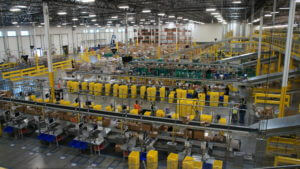 Access to Amazon’s fulfillment centers, allowing sellers to ship and store their products for a fee. Picking, packing and shipping a seller’s product to a customer, once a sale goes through. Handling customer service issues like returns, complaints, etc. on a seller’s behalf. Admittance into Amazon’s Prime shipping program, so customers get their purchases faster. 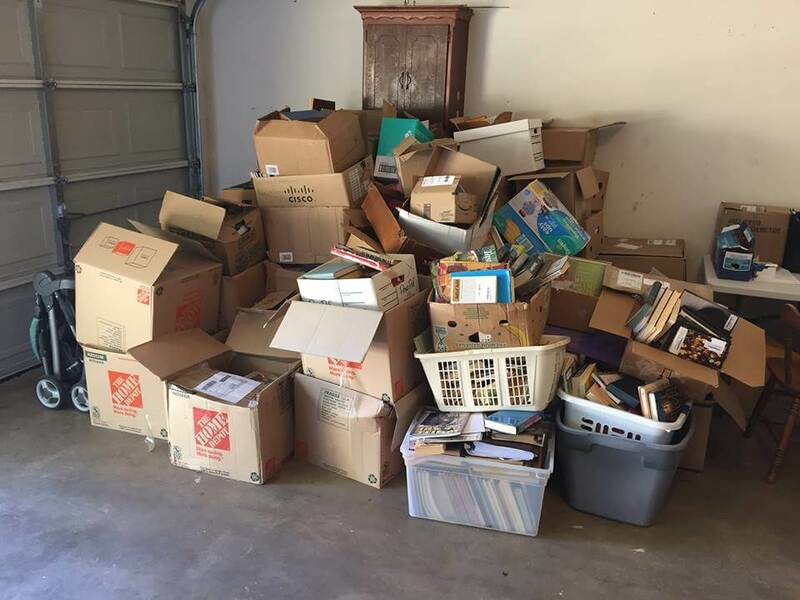 Now, instead of spending 3-4 hours every night packing books and another 30 minutes waiting in line at the post office, all I had to do was pack up my used books and send them straight to Amazon. They did everything else! Plus, my books were now going out PRIME, which meant conversions shot through the roof. How? According to a Business Insider article, Prime customers spend, on average, $1,400 on Amazon products in a year. That’s $800 more than the $600 non-Prime customers spend on average each year. Unless you’ve got a distribution channel already in place, use Amazon FBA. It helps you sell your books a lot faster and does all the work for you. All you have to do is find the inventory. Now that I didn’t have to worry about storing so many books, I could up my BSR cutoff, too. After all, Amazon would be storing them. And so long as they didn’t hang out in the FCs too long, I’d avoid most late fees. So now I went from under 250,000 BSR to 1,000,000. Of all the ways how to sell books on Amazon, this is probably the most popular method. You’ve probably seen these people at book sales, library sales, and even used bookstores digging through piles of dusty tomes like zombies. Basically, those that use the scanning method go to sales where books are priced dirt cheap (usually under $1.00) and scan each and every bar code with their cell phone or portable scanner. An app on their phone cross reference’s the book’s BSR as well as the book’s lowest sales price and lets the seller know whether or not the book is worth purchasing. Typically, a Scanner will carry a box, shopping cart, or many reusable shopping bags to lug their goods around. This method is very similar to retail arbitrage. This was the primary method that I used to find books. Instead of scanning each and every book at a book sale, I’d just make offers on the entire lot. This worked especially well at yard sales, estate sales, and even book store closings. By being indiscriminate, it meant that I could get the price per book way down (usually less than $0.25 per book), but also meant that I was left with a lot of duds. With good purchases, I’d usually have 3 “donate” books for every 1 book I listed. So, effectively, my inventory cost $1.00 per item. The best time to make an offer an a large lot of books is at the end of the sale. 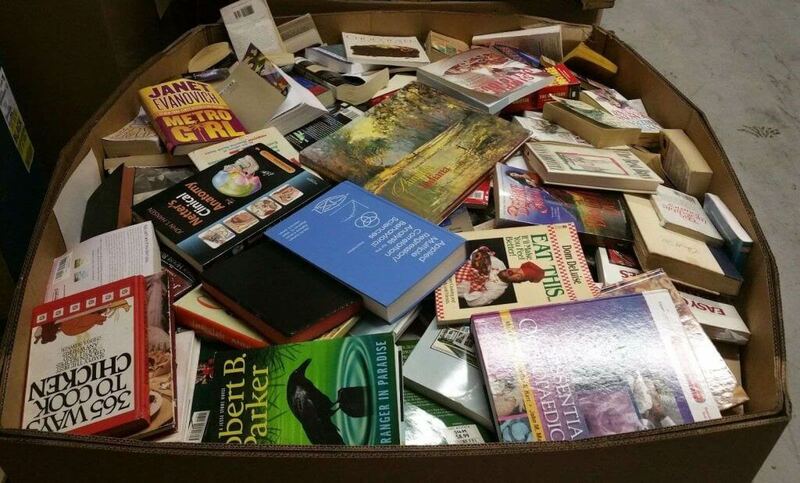 Most people HATE dealing with books, and will sell them off for pretty cheap. I’ve often bought 200+ books in one shot for only $20 just because the sellers didn’t want to deal with them. And a lot of times you can get them for FREE, too! The other way I found books was through online arbitrage. Online arbitrage is a method of buying a book on one marketplace (such as Ebay or Craiglist) to resell on another. Since it’s a little more time consuming than scanning or wholesaling, it’s best to target books that sell for $25 or more. Textbooks and first edition books are especially great targets. College kids are terrible planners and tend to buy their textbooks at the last minute. For this reason, they’ll usually pay 20%+ more to have a book ship 2-3 days Prime versus waiting 10+ days for media mail. So that means you can buy books which are FBM (and tend to ship media mail) and turn around and resell them Prime at a higher price. I kept a list of 10-20 textbooks I could do this with. The returns are better than the stock market! Now you understand some of the basics of how to sell books on Amazon. Here’s a pretty simple how-to on selling books that’ll hopefully get you started. Step 1. Pick your sourcing method. Of the methods listed above, pick the one that best fits you and your personality. 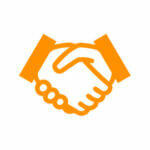 Are you a deal maker, enjoying the process of haggling? Then I’d give wholesaling a try. But if you’d be happy flipping the same 10 textbooks over and over again, online arbitrage is likely your best bet. * If you’re going to sell books with a scanner, make sure you get a good scanning app that scans books with a push of a single button. Step 2. Find your inventory. If you decide to scan wholesale, start looking around for book sales. Check with your local library and used bookstores, to see when they’re going to run their next sale. You could also hop on Craigslist, or Facebook Marketplace, to see when there are yard or estate sales happening near you. You might even find someone looking to sell their entire collection. If you don’t want to or can’t spend money to start, just look around your house for some old books to list. That’s what I did, listing my comic books. I was surprised to discover how valuable some of the old titles were. Older textbooks (one or two editions behind the current book) are especially popular with students, since they’re cheaper to buy, yet are still current enough to be relevant to their course’s syllabus. Plus, when it comes to those slightly out-of-date texts, the variance between your cost to buy FBM and reselling them FBA is often much higher. Step 3. Create an Amazon seller account. Individual seller accounts are free, but you have to pay an extra $1.00 for every unit you sell. Conversely, professional seller accounts cost $39.95/month. However, as a pro sell, you don’t have to pay the extra fee of $1.00/unit. So, if you think you’re going to sell more than 40 units per month (to put it in perspective, I sold 300 books per month when I started), it’s less expensive to sign up for the professional selling plan. If you’re going to sell more than 40 units per month (pretty easy to do with books), then get the professional selling plan. It’s a $39.95 subscription fee, but you avoid the $1.00 fee tacked on to every sale made as an individual seller. Step 4. Use Fetcher to track costs and profits. When you’re dealing with hundreds of different titles, it’s pretty easy to lose track of which books cost which amount. When I started, I might spend $500 for 500 books one day, then $80 for 2,000 the next. I didn’t know which books came from which bulk purchase, so when I made a sale, I had no idea whether or not I was actually profiting. It was a total mess! Fortunately, I found the answer: Fetcher. Fetcher is an app that integrates with your Amazon Seller account, helping you make sense of your Seller Central data, and tracking your profits by having you input the costs for each of your books – something you can’t do in Seller Central. So what does Fetcher cost? Since I Started using Fetcher, I’m making 38% more in profits; it’s far easier to know whether or not a book is worth listing if you’re tracking your cost-of-goods! Plus, the easy-to-use interface makes it my go-to option over Seller Central (which I hardly check anymore). And while an app like this could easily charge $97/month for a startup subscription, Fetcher’s costs tend to be much lower. Depending on how many sales you make in a single month, Fetcher could cost you as little as $19/month. Not only that, Fetcher’s people are so confident in its abilities to accurately track your Amazon profits, they’ll even let you try it FREE for 31 days. Step 5. List your inventory on Amazon. Next, you’ll need to list your inventory on Amazon. (Note: the difference between Like New and New is often so negligible, you might as well just list the book as New for the higher price point (and Buy Box). Again, only use this condition if it’s noted in the Category-Specific Condition Guidelines. Acceptable items are fairly worn-looking, but they continue to work perfectly. Signs of wear can include aesthetic issues, such as scratches, dents, and worn corners. It may have identifying markings on it, or it might show other signs of previous use as well. And just to let you know, when it comes to books, acceptable is used for books that are BEAT TO HELL! I only ever sell books in this condition if I purchased them at a very low rate, if it’s worth a ton of money, and/or if it has a super low BSR. Many book buyers on Amazon–myself included–will totally avoid this condition, so make sure you know your book conditions inside and out! People who buy a lot of used books are very sensitive about conditions. If a book lover buys a book that’s in ‘Very Good’ condition, and then sees that it has writing in it, they’re going to contact you. And nine times out of 10, you’ll likely refund the purchase price (it’s often cheaper to refund the customer, rather than asking them to return it), to avoid getting bad seller feedback. So better to get the condition right the first time around, to avoid having to issue refunds for those mislabelled books. Different conditions come with different price points. Often, the lowest Very Good price will be a lot higher than the lowest Good or Acceptable condition. However, if it’s a slow seller (BSR 250,000 or higher), then you might consider just pricing it to match the Good or Acceptable condition. Step 6. Ship the books to the nearest fulfillment center. If you’re selling books FBA (and I recommend that you do), you’ll need to send them to the nearest fulfillment center (or centers). Thankfully, that’s pretty easy to do. Just throw your books in a box (I like Home Depot’s Small Moving Boxes because they’re pretty cheap), and ship them via one of Amazon’s preferred carriers. 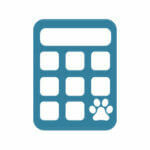 Don’t forget to mark those shipping costs in your Fetcher account though! Step 7. Watch as sales come in and track profits on Fetcher. Once your books hit the fulfillment centers and so long as you priced them right and only picked books with low BSRs, you should start seeing sales right away. 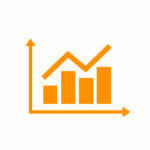 To see how much you’re profiting, be sure to log in to Fetcher and check your daily stats. When you’re just starting out, try not to take too much money out of your funds. Save the money that you’re making to purchase new inventory. The more you can grow your business, the easier it is for you to push into even more profitable Amazon selling methods such as private label and wholesaling. Step 8. Provide good customer service. Fortunately, since you didn’t write the books you’ll be selling, you won’t have to worry too much about reviews. All you have to do is make sure that your customers are happy. One way to maintain contact with your customers (outside of the support Amazon will provide to your customers if you’re selling FBA), is to use an automated email service like Jump Send. It’s pretty rare that you’ll get bad seller feedback from a book buyer. But, when it happens, it’s usually because the condition of the book was listed improperly. I repeat: do not list books in the wrong condition! It’ll kill your seller feedback rating. Step 9. Get the word out. Social media is more powerful than you could ever imagine. It’s not just for keeping in touch with long lost friends and family. It’s also a fantastic way to market the hell out of your books, boosting your sales. If you haven’t done this already, consider creating an Instagram and/or Facebook account. Use it to promote the books you’re selling, recommending them to book clubs, friends, family, and followers. For approximately nine months, I sold books on Amazon, before switching over to private label full-time. Hopefully, this guide has taught you the basics of how to sell books on Amazon, so that you can begin your own Amazon journey. After all, it was the $2000-$3000 in profits I was making each month selling books that enabled me to start creating my own brands. And there’s nothing that says you can’t do the exact same thing! Thank you SO SO MUCH!!! I came across this by searching on Google (How to sell books on Amazon). I’m just starting and I had a ton of questions which you helped answered. Thank you again for sharing. Process is not too complex, thanks to your very well organized and well written guide. Thank. I am convinced. 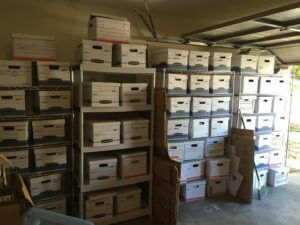 I have an inventory of 4000 books that I have accumulated in the last 50 years. Time to let ’em. go. What app would you recommend. I am thinking of using this whilst my private label product takes off. Hi Dave, Thanks for the really good information. I was at a promotional meeting last week where they were trying to sell me stuff that I’ve been finding for free online. Anyway, the question I haven’t been able to find an answer for is this: I only have access to Canada post for shipping my inventory to amazon. My experience is that it is very expensive. Is there a special rate to ship to Amazon through Canada Post, do you know? I’m not sure there is. What you MIGHT be able to do is ship it via one of Amazon’s preferred carriers like UPS which Amazon does get a low rate for. But that’d have to be selling it FBA style. Great article. I am planning to start selling used book on Amazon as well. Will we need a label writer for each book we sent to Amazon? If we do, do we just stick it on the book or should I wrap the book then stick the label on it? It depends on the book. I use stickers from Avery which tend to be low acid so they don’t stick or damage the books as much as cheaper brands. They peel off pretty easy. thanks I enjoyed this, but I do have a question about marketing. How do you market books on Amazon, to drive traffic or do you need to? As in you wrote the book or you’re selling a used book? If you wrote the book, there’s Amazon PPC that you can do it through. Otherwise, cheapest price wins the Buy Box (most of the time). Great article. I am dying to get into selling books online. I have had some success selling a small number of books via textbook services online and eBay. I too hate that site, but have found it to at least allow me to catch the occasional rare buyer who just wants a deal. I am intimidated by the prospect of selling on Amazon because the process is still quite fuzzy in my mind. I’m fortunate to live near several libraries and thrift stores packed full of good quality books to flip. I also have access to medical books, guides and study manuals. Is it really as easy as scanning books with my Amazon app, looking at the price, then shipping out the books? Would love a bit more information, if you’re willing to provide it. Again, awesome article. Yeah, it is that simple. So long as you can see that you can make a profit after fees, all you have to do is pack them and send them to a fulfillment center. From there, Amazon handles the rest. Thank you for the very helpful article. I am teacher selling some books that I no longer use. Many of them are in “like new” condition, but have a piece of duct tape around the binding (which I used to easily identify my books). It makes more sense to me to leave the tape on, then take it off and damage the book further. With the tape on the binding would you list it as “Good” or “Very Good”? Tape on the binding would probably drop it down to acceptable, actually. I try to avoid selling with acceptable unless it’s a rare book that not a lot of other people have or the G+ conditions are waaay more expensive than the acceptable ones. Very informative – thank you! My husband and I are doing our research before jumping in to the book selling online arena. We have been approached by someone selling pricey software that will show us how to make thousands buying/selling books on Amazon without touching a book. It appears to be too good to be true. Have you heard of scams like this? Thank you! I don’t think you need pricey software to scan books. We offer software for estimating sales, but that’s if you use the private label strategy (which is, honestly, way more lucrative) than selling books. The software they’re talking about is probably one that does what’s known as Zen Arbitrage where it finds products on Amazon to resell on Amazon. I was wondering about the “pricey software” you mentioned because I think I just watched a webinar from the same company. Did you decide to go with it or did you decide to “find your own way”? I’m supposed to have an interview tomorrow but I already know from the approach that it’s going to be a whole lot more money than I am able to and willing to pay to learn the process. 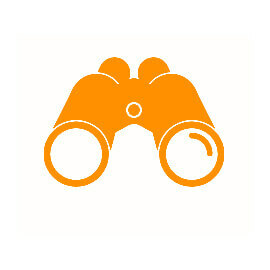 I’ve actually already found software that does some of what I saw in the webinar available for a one time fee of $59.00! Hi Dave! I inherited a garage full of old and rare books. I must liquidate to get my garage back. Virtually none of my books have ISBN identifiers. Many of the publishers are out of business. 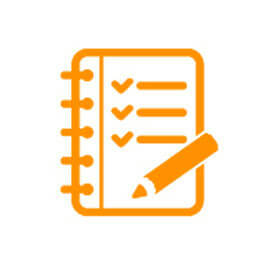 Is there a way to determine what is worthwhile to list and what to donate? I use Addall sometimes for value but I find that Addall valuations are always much higher than Amazon. Can you help? Haha I used to have a few like that, too. Honestly, when you have books that lack ISBNs, you have to go through each one individual. Be careful, though. If they truly are rare books, especially if they’re first printings, then you might want to have a antiquarian appraise some of them. Thanks for really good and helpful article. As an Amazon seller I have one concern which I think will interest all. For being able to sell on Amazon you need provide invoices or receipts for your products. 1. Goodwill outlets, estate sales, bookstore sales, library sales and etc. 2 is buying books from other online markets such as ebay. So does Amazon accept invoices or receipts from this sources? Hello! Do you have any information about what type of scanner to use and how to go about using it to search up the information using the Amazon seller app (or any other app that will show Amazon’s information)? My husband wants to try using a scanner rather than just using the Amazon seller app because he heard you can scan the book so much quicker to see if they are worth selling or not. A couple more questions: How do you evaluate condition if the book is good to excellent but the cover is fair, e.g. some light soiling or minor tears? How important is the dust cover? Also, if there are two or more volumes, do you list seperately or together? (May even be different dates). Thank you for sharing! I just want to clean out my bookshelves. When you talk about books with absolutely no markings or writing in them, does that include a book signed by the author? Is that a benefit or a detriment for selling a book? Is there any place in the listing to include a comment that it is signed by the author? CAN YOU HAVE AN INDIVIDUAL ACCOUNT AND PAY $1 PER SALE AND STILL BE IN FULL FILLMENT BY AMAZON ? I believe you have to be a subscriber in order to use FBA. 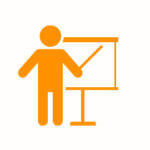 IS THERE SUCH A PERSON OR COACH THAT CAN SIT WITH ME AS I SIGN UP AND SET UP. ? I DRIVE 48 STATES FOR MY JOB AND ALREADY HAVE A GOOD GOOD BIT OF BOOK WITH I BELIEVE BSR UNDER 400000. Hi and thank you for the informative article. Can you give me an answer, in what format should be the e-books for the sale of Amazon? Thank you for the well written article, very helpful. I am based in the UK does all this information still apply? If you sell Amazon UK, I think you have to add in the VAT, which can make margins slimmer. As far as UK rules for legal stuff goes, I’m not certain. You might want to consult a tax professional for that. Thanks for the informative article. Far more detailed than others I’ve read. I would like to sell my books, but I wonder, since i would not be doing it long term, can this be done without owning a printer? I suppose i could print at the library…but realistically would that be a pain? can the fbm order be written out by hand on the package? But yes, you can write it all by hand if you please. Looking at book listings on the Amazon website, I noticed that there is an overall BSR as well as BSRs for different sub-categories. Do you go with an overall BSR of 200,000 or less, or do you go with the sub-category BSRs of 200,000 or less? Thanks for clarifying! And thanks for all of this useful information, I am going to give this a shot! Hello. I have not put books on since late last year and the method has changed. I can get no help as the seller help department do not seem to understand my problem. If a book is already entered with other sellers’ listed and I have the same copy to sell, I cannot see how to enter mine where there is a box allowing me to describe its condition. Yes there is a box to tick with ‘used like new’ or ‘used acceptable’ but there is now no box where I can add sentences like ‘slight crease to dustjacket’ or ‘signed by the author’ etc. If I click ‘sell yours’ that box does not appear. Same if I go to my inventory and click ‘Add a product.’ Can you help please? You need to click the “advanced” toggle to allow condition notes now. I have a question I’m hoping you can answer. I am currently an Amazon affiliate and I have a personal Prime account. Both are on the same account. However, I would like to sell books FBA as an individual seller but I want to keep the account separate from my existing account. Can I do this by setting up a seller account using a different email? Can I still use the same bank account? To clarify, I don’t currently have a seller account–I want to get the right information before I set one up. I’ve tried unsuccessfully to find an answer regarding this on Amazon’s forums and through their customer service. Thanks in advance for your advice! Good question. You might check with Amazon Seller Support first to see what the process is. Personally, I don’t see why not. Today I happend to walk into a thrift store and give it a little browse to kill some time as I came across a section of books. Recently I’ve been looking for ways to make a little extra money on the side, I saw these books on the shelf at a pretty decent price and asked myself “how could I profit off of these”, ironically I searched “how to sell books on Amazon”. I mean how hard could be? I asked myself. Well your blog was the first on the list. I read and read. Then the funny part was that today is Thursday and it was 4pm when I was reading away. As I read the section where yoy sold your first book. It has motivated me to keep researching ways to give this a shot. I don’t have any inventory but am looking to invest time and money. Now I did have a question, is this more of just creating a profile without having to do any other additional steps outside of Amazon? For example do I have to create an entity? It might be silly question. Nope, as long as you have an SSN, you should be able to start an Amazon business. Hope that’s helpful! What is the app you use to see if the book is worth buying to sell? Or do you just look on Amazon? You can check with Amazon, or you can use an app that some sellers use called Profit Bandit. I’m confuse with private labeling. Will you clarify that, please. What exactly is the process to start with private labeling. Thanks! Great question! Private Labeling is basically taking a pre-existing product, putting your own logo on it, and selling it as your own. I wonder if this is the easiest way to sell self published books online as well? Or books in another language then English? Where do the profit go and how is it taxed? I am not American, can I still do this? Amazon does offer a self-publishing service called CreateSpace that you could look into if you wanted to use their platform for sales and Kindle download options. We don’t have experience with it, but it’s available to non-Americans. Just found 100+ boxes of student math books for $200 ,(approx) 2,000 books. Can’t sell them all on Amazon what do you think I might get if I sell most of them TO Amazon? Amazon has a trade-in program for Amazon credit, although they’re pretty picky about the books that they’ll give credit for. Another solution is to sell them all in bulk on Ebay, although people might asks for lists of the titles. HI Dave I received an email saying that I can post some of my books with fulfillment. I am a little worried to do it so I stepped back and did not do it. So far since I started selling books I had being selling them in a 1 or 2 books per day but I noticed that in the Amazon page I am in the third or fifth page. So my question is should I jump to the pool and send all my books to fulfillment and all in all what will be my cost vs benefits. Amazon’s cost to ship goods is usually less than your own. Also, you get a Prime badge which increases the chance that people will purchase yours over another. Sometimes, there’s even a difference in price between Prime and non-Prime books. This is a very direct and helpful article! I plan on getting my reseller’s certificate and begin book selling within the next 45 days and will definitely use these tips. I hope to leave my job one day, similar to your story, I hate my 9-5! Wow…Ben darlin…that was awesome .simple and direct but very helpful to me. 1) How are sales taxes handled? 2) With FBM, how quickly must one ship? 3) They will keep an amount aside to protect themselves for fraud. How much? For how long? 4) How do I notify Amazon that I shipped to customer? 1) Amazon collects sales tax on your behalf. 2) Within 1 business day. 3) Payments are done every two weeks. So long as the pending order goes through before the pay date, you’ll get the funds. 4) When you go into Seller Central and print the label and buy shipping from Amazon, it’ll automatically notify Amazon. Dave this is good information. Thanks so much for putting it together! I have a tiny little bit of criticism for you. You may not care for it at all but I appreciate this kind of input. You misuse “there’s” 5 out of 7 times. It detracts for an otherwise great presentation. I blame my editor, Melissa (who just pointed out this comment to me). And if textbooks are no longer an option, what book category you think is still worth doing and which gives a big ROI? Great questions! I still have a lot of success with niche books and collectible books which I buy on Ebay and flip on Amazon. Graphic novels and trade paperbacks do pretty well, too. There’s an application for collectible books on Amazon, but if I remember correctly it’s pretty easy to get through. Thanks a lot for your answer Dave! Dave, this is an odd one. I’ve just self published a new printed book — high quality: hardback, dust jacket, good paper, 20 pages of glossy photo’s, etc. It’s non-fiction and history/religious utopian commune/19th century/pretty crazy. Was thinking of selling it for $35, mostly through bookstores, but also on Amazon. Would FBM be the place to start? Excellent blog, by the way — and remarkable for your responses! Congrats on publishing! Either way, honestly. If you’ve already got cases of them, it’s probably just easier to send one or two cases to Amazon and see how you do. Amazon also offers Kindle Direct Publishing and Create Space services for self-published authors, which are both totally cool. Sure, they take a big ol’ bite out of your profits, but there’s no cost of goods on your end except for marketing. KDP is all digital. And Create Space is print-on-demand. I have a few hundred books, mostly cookbooks, and mysteries. They are all in excellent condition. How do I know what price to put, or does Amazon price the books when I send to them? I have not signed up yet with Amazon but will do so shortly. You set your own prices. How you price them depends on the popularity of the book plus current prices. If you look at the prices for a particular book, you’ll see that a lot of the cheapest entries are usually those in Acceptable or Good condition. If your books are VG or better, then you can price those accordingly. However, I would only do this with books that have a BSR 1,000,000 or lower. Otherwise, they could take forever to sell. Very Good condition, for a lot of book buyers, is sort of the “starting point” for purchases. I usually never buy Acceptable or Good condition myself. When I click the link to make an “Individual Seller” account and it gets to my Bank info, It says that I am making a “Professional Account” and only gives me that option, and says that once I put in my card info, that they will bill me for the $39.99. I never even wanted any of that. I wanted the Individual and free option. So I called customer service 3 times and all times, they said that they are in the middle of some stuff and that my only option is to select the “Professional Seller” account and to pay the $39.99 and that they would immediately refund me the money and downgrade my account to Individual from there. I don’t know, that seems fishy to me. They said that a lot of people have been having this same question to them lately and that is what they have been telling them to do. Have you encountered this? I saw someone in your comments just 20 days ago say that he was able to make an individual account. Not fair! Please shed some light on this if you will. Hate to admit it, but Amazon can be somewhat buggy sometimes on their back end. I’d keep trying to get the individual account if you can and keep us posted on what’s up! Great article. I’ve scanned all of my books at home and found that the vast majority of them have a high BSR. What should I do with those books? Should I sell them to a used book store or hold on to them and ship them FBM to avoid FBA storage fees? Also, how sustainable is it to sell used books? Can you find enough book deals to make a decent income? High BSR means low sales. Did you mean low BSR? Great article by the way. Thank You!! “You are not approved to list this brand and we are currently not accepting applications. New; Used: Like new conditions You are not approved to list this brand and we are currently not accepting applications. I don’t understand why. We should not need approval to sell textbooks should we?? I don’t books listed in their approval sections.. Cannot new sellers sell books or these college textbooks anymore?? It depends on the brand. Amazon’s had a lot of fraudulent sellers in the last few years try to sell their books online (usually foreign “teacher’s edition” copies). What’s the ASIN for the book? I’ll look it up for you. Thank you, Dave! If I use FBA, do you know whether I have to individually pack each book prior to shipping my inventory to Amazon’s storage facility, or can I just send the books the way I would receive them from the book printer? Meaning, on a pallet, where books are grouped into packages of 5 and shrinkwrapped? I am in the process of self-publishing an illustrated children’s book, which I intend to sell through my web shop and also via Amazon. What would be the best Amazon program to start with, since I want to focus on the US market, and also on the English speaking market in Europe? Would you recommend starting with the Pro account and use Linked Accounts for the North America & EU market places? 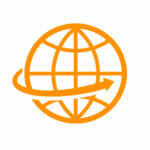 If I sent my inventory to a fulfilment centre in Europe, under what conditions could the books be sold/sent to the USA? I am unable to find these answers, any help would be greatly appreciated. Thank you in advance for your time to respond! Congrats on self-publishing! The method you’re doing sounds a little closer to private label than book selling. Private label is something Jungle Scout specializes in. Do the pro account if you plan on selling at least 40 copies per month. From what I understand of the EU market, it’s separate from the US. So US people can order it, but it’s probably better off if you send inventory to US and EU. Basically, you’ve already done part 1 and 2, research and sourcing. Now it’s just a matter of launching and promoting. Good luck and let me know if you have any further questions! Great blog, excellentinformation! Thanks for sharing. I have at least 300 children books, at least 100 of those are in Spanish, plus at least 200 more books of varies different genres. Most of them are about personal development, religious and spiritual growth, teaching techniques and financial advise. I’ve never sold anything online before but I’m considering selling some of these books to make room for more. Should I start with the children books? Most of my books are in great condition. Before hand, thanks so much for taking the time to respond! Sure! Just be sure to check their value before listing them. You generally want to try to sell books that have a value of at least $10 before shipping to cover the Amazon fees. Thanks Dave. I am now less anxious of selling on Amazon. I have a cool collection of old and rare books I need to liquidate. I have been listing on Ebay without much luck. It is worth giving Amazon a shot. I needed to know about the fee structure and the condition guidelines and you did it for me. Many thanks! If you sell via FBA, you’ll pay the FBA fee, too, which is basically shipping. This is usually about $2.99 for books under 1 lb and increases with each pound. If you sell via FBM, then you’ll get shipping on top of your sales price, usually $3.99. I find that shipping books via media mail usually only costs $2.72 for the first pound, plus a dollar for every pound after that. Finally, if you’re selling on the individual plan, there’s a $1.00 flat fee. If you’re selling on the pro plan, then it’s $39.95/month and no flat fee. Sorry. I sent a previous comment yesterday. If you didn’t receive it , I’ll be happy to rewrite it. I just want to consent to your saving my name, email, etc. In 2000, I inherited about 200 books from my mother, who was a city librarian for 37 years and who salvaged these books when the library culled its collection to make room for new books. These books are up to 150 years old and were selected by her for their literary value. Many of them have signatures on the inner cover. Many are in excellent condition. Others are in poor shape. We want to get rid of the books and want to use Amazon FBA. Some of these books may be valuable because of their content and the historical era in which they were published. Your article has been a great help, but I don’t understand how to initiate the process. We are recording titles, authors, and copyright dates and will type these into my computer. How do I initiate the process of Amazon FBA? It depends. Older books tend not too do so well on Amazon, in my experience. But if they’re of super high value (ie, a first print of Dickens, etc), you might consider bringing on a book antiquarian to get your maximum value. Books written before the 1970s don’t have ISBNs, so it can be difficult to enter them into a catalog like Amazon, since you’ll have to physically search for each book one by one by title. And even then, there can be 2-3 variations of the book. So, long story short: I recommend taking a look at your collection and finding the books that probably have the greatest value first. If there’s a lot of first edition/first prints, those might do better on eBay or Abe. But if it’s a lot of mass produced titles, then Amazon’s probably your go-to. 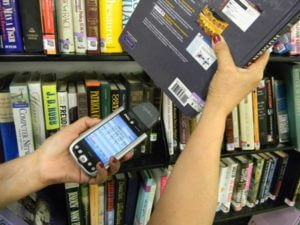 So what phone ap do you use to scan the books? Do you have to sign up with Amazon first to access their scanner? I never used a phone app (I bought in bulk and typed in the ISBNs manually), but I know some folks use Profit Panda which I THINK costs roughly $7.99 or something like that. You can also use the Amazon retail app or seller app. Both have camera scanners built in. 1. Here in India we get customers which are near to our location. Like if I am seller from west India I get customers from west India only as it is a local finds account. I wanted to know your customer region. Have you made an amazon seller account? If yes then how do you take care of local taxes on the transaction? In India we have GST. 2. In India we are charged almost INR 40 (Roughly half dollar) after book is sold . And we cannot sell beyond a certain price recommended by Amazon local finds . 3. Here if there are issues like violation then seller account is taken down . Like if Pearson or Jacob Publishing is selling books and they dont want others to sell at lower prices they can tell amazon to take our seller account down. Can you guide me if you have faced such issues? Yeah! Just make sure they have some value to them. Amazon takes 15% of the price for the referral fee and then a $1.80 media fee. So you want to try to sell books that are at least $15-$20 in value. Thanks for this great article! I do have a question for you. Like Kathy and Rev. Kathleen above, I am planning to sell my personal library of ~ 400 books of various genres and once they are gone, I will be done (at least that is the plan). 1) In this case, would it be best to sign up with a professional or personal account since I don’t know how long it will take to sell all of them. 2) Can I still use the FBA option for this project? Great to hear you getting started! And wow! 400 books, that’s awesome! 1) The extra $1 for individual accounts can cut into your margins pretty quick. So you might consider doing pro if you think you’re going to be selling at least 40 books per month. In my experience, non-fiction with BSRs below 1,000,000 usually sell within 30 days on Amazon. So make sure you’ve got plenty of inventory that falls under that. 2) Yeah, for sure! Keep in mind, there’s always storage fees you’ll have to contend with, in addition to Amazon’s referral fee, the media fee (a new fee Amazon added last year), and FBA fees. I’ve toned down my book sales over the last couple years, and what few I do I do FBM. Amazing!! This is exactly what I was looking for today. I scored 108 books this morning and decided to try and sell them on line. So glad I found this, thanks for posting!! What a great blog/ read. I enjoyed it immensely. I have about 200-300 of my own books, mostly teenager books and study books , gcse/ A level. I am conscious of time tbh I dont have any and I would love to try and make some money from these. From what I have understood from looking through Amazon and looking at BSR for the first time ( thanks 2 U) i ca see most of these books are between 300,000 and 10,000 BSR. I suppose they are all worth a sell but on average they sell for about £3. What can you suggest , looking at time limitations/ and end sale? Please advice the best way forwards, UK based thanks mate. Well, those BSRs sound pretty good, at least for the US market. However, at 3 GBP you may see fees eating up a lot of your profit margins. I recommend sorting through and finding those where you can at least make a little profit. You might even consider starting slow and doing them via fulfilled-by-merchant where you mail the books. Hi Dave, Thanks for the comprehensive review. 1. How/where can I find the BSR for a title? I haven’t yet set up an Amazon seller account. 2. Is there a list of Amazon warehouses cities where the books will be stored? BSRs are on the page, just below the product description and above the reviews. 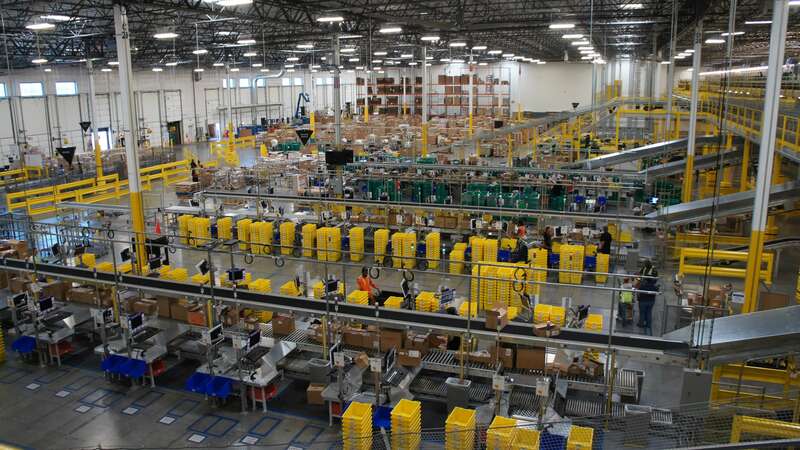 Typically, Amazon will send the books to whichever warehouses have the highest demand. When I send books to Amazon, they typically go to the DFW FC. Then, Amazon will split them up and send them to different locations around the country. Hi Dave, Thanks for the article through Jungle Scout. Also for the replies you have provided to the comments. Could you please share your knowledge on selling new books? where and how can I source new books, is it profitable if I can source them? I haven’t done new books before, but it’s not too hard. You’d have to contact book suppliers directly. In fact, some publishing houses even allow you to drop ship directly from them. Do note that when you sell new books, you have to compete directly with Amazon if you’re going to sell on Amazon. So often, it’s better to go after used books of value that Amazon can’t get ahold of easily. I am about to retire, and I have about 6 thousand books in my personal library. Many of these are professional books: religious topics, Bible commentaries, and so on. I had thought to sell a lot of these on Amazon, but I really can’t understand how people can make a profit for those book that are listed at one cent, or four or five dollars. As I have looked up some of my books, I find that some of them might go for 10=15 dollars, so that might be worth it. But I figured I would do the fulfillment myself. What I have are books likely to be found by people looking for that specific title or topic. I have bought many books through Amazon for a penny, with the $3.99 shipping added. Is that enough to turn a profit? Good questions! And WOW that’s even more books than I have! Well done! I actually had a lot of luck selling Christian non-fiction when I started. I purchased an estate of a pastor’s books. He had some pretty cool books, including a few first editions of MLK’s books. 1) First, you have the referral fee, which is 15% of the sales price. So if you sell for $15, that’ll be $2.25. 2) If you sell via FBA, you’ll have the FBA fee, which is more or less shipping/handling on Amazon’s part. This usually starts at about $3.02 for the first pound and goes up about $0.75 for each pound after (you can use Amazon’s FBA calculator to predict this cost in advance). If you do FBM, then they’ll tack on an additional $3.99 for shipping, which USUALLY covers most media mail shipping costs for books unless it’s a particular heavy book. 3) Finally, Amazon has a media fee, which is a flat $1.80 per book. They’ve only added this fee within recent years to discourage low, low priced books on Amazon, and people using their fulfillment centers as “storage” centers for old, slow-selling books. So your total fees on a FBM $15 book + $3.99 shipping that can be shipped via media mail is going to be roughly $4.05 plus the cost to ship (media mail costs typically around $2.80 for the first pound another $1.00 for each pound after that, so we’ll just say that it more or less uses up the whole $3.99). That leaves you with $10.95 for the sale. With such a large collection, you might want to invest in a scanner to quickly run through the books, unless, of course, they’re all pre-ISBN, in which case you’ll need to enter them by hand. Hello-Great article and tips. I want to buy and sell books on Amazon full time. However, I am quite discouraged about a lot of places not wanting us to use our scanners in their stores. Also, I have heard the Amazon seller fees have become so much that it’s hard to make a profit. Is this true? Can you please expound on this? I would greatly appreciate it! Yeah, some places definitely aren’t crazy about scanners. Personally, I never did it with the scanner method. As far as the fees go, I recommend looking for stuff that can cover your fees which are 15% of the price, roughly $3-4 for FBA, and $1.80 for media. Textbooks and niche books like comic books and stuff like that are pretty good for getting past the fees. What a great article. There’s more info here than I have found anywhere else. I have a small publishing company and I’m about to produce a few books. I don’t intend to sell a ton of them, but I also don’t want to spend my time at the post office and boxing books. Does your method work for self-publishers of hard copy books as well? And if so, does everything above apply? My recommendation for self-publishing is using KDP for your digital and Amazon’s CreateSpace for physical. While the fees can be quite heavy, it’s a whole lot easier to get a start on things without spending a bunch on printed copies of books. If you DO go getting your own books printed, you could try it, but with the super competitive nature of self-publishing, you could end up spending more than necessary before you test the market. A number of successful authors start this way now. Thanks, great article. If sourcing in Australia to do FBA in the USA, It would cost a fortune in postage fees. Do you have a suggestion of how one might set up from outside the USA. Also just double checking on a couple of comments and answers: so sending a box of various books into amazon somehow works? how do they know what’s what in the box for sending on to buyers? Good question. Obviously, you now have the Australian Amazon, so you’d be one of the first book sellers on there. As far as sending them to Amazon US, you’re right, the postage would be prohibitively high. So if you’re going to do books, I recommend jumping on the AU Amazon. When you create your fulfillment order, Amazon gives you a label sheet that you print out and stick to each of your items. They then split up the book orders and send them to the various fulfillment centers depending on supply/demand. Read this page the other day and got inspired! Well it looks like plenty of people are responding to this, not sure if these guys have been doing this all along or not but, I found tons of treasures in Goodwill stores over the years, but not books. Now that Goodwill stopped putting treasures on the shelves and instead they list the stuff, I decided to slow down visiting them. Just looks like junkwill in there now. But after reading this page I went into Goodwill today to scan some books and there was this guy all over the books with a scanner and a cart just scanning– bam bam one after the other as fast as he could. I felt like saying: Hey, do you mind if someone else sees those books too. But of course he was in a frenzy and didn’t even notice me standing there. Discouraged from this new idea I just learned about, I went ahead on to the one on the other side of town. When I stepped in the door I went over to the books shelves and there was another guy with a cart and a scanner connected to his phone just scanning the books one by one in a speed method, occasionally throwing one here and there into the cart. It was enough for me, I’ll stick to other methods and products. This just seems not right that the book area which is usually no traffic hardly at all now suddenly has these book attackers scanning away. It really makes the other store customers just stay away until they leave. Can’t help to wonder if it is even ethical in a first come first serve environment like that, I mean this just started lately. I mean I felt like I had better not even dare to grab and check out a book that was within this guys two arms reach on this public shelf… it is intimidating to other potential book shoppers…Just walked away! Thank you for the helpful tips. My husband passed away last year and he was an avid reader. I have a few hundred books to sell with a mixture of paperback and hardback. They are in great condition except he always threw away the dust covers as he hated them. He mostly read sci fi, alternate history, and military related titles. Do you think that selling them on Amazon and using the FBA method would be my best bet? which scanner app do you use or recommend? how did you come up with that list of text books? that sounds like an interesting idea. i am selling books on Amazon now and have almost 2000 in my garage. with the fee increase plus 15% plus packing materials I will not get rich. However, the thought of labeling and mailing that many books to Amazon is daunting. do you make that many more sales going prime to justify the cost? Supposedly, selling prime gives you a pretty big bump in conversions since people will get the books sooner. The textbook method, also called Zen Arbitrage by some, is pretty good since a lot of students want textbooks fast and are willing to pay the difference. Lately, I’ve been doing OA with a niche market, buying wholesale lots on Ebay and flipping them on Amazon (although I’ve been doing those from home). Great information but I am still a little confused. Can I purchase 40 different used books using the criteria you listed and shop them to be FBA in one box? I am just getting started and had 15 of the same new item to send off. FBA prompted me to send in 3 different shipments. It depends on where Amazon needs those books to go. Sometimes, there’s demand for certain books in different parts of the country, so they’ll ask you send them to another spot. I do know that they try to do their best to keep it all as close to you as possible. You can select what Amazon calls ‘Inventory Placement Service’ which means all your books will go to one warehouse. They’ll charge you a fee of .30 or so per book, but the hassle you save, not to mention not having the extra cost of sending separate shipments, is worth it in my opinion. If i have one of each book and say 10 books total, shipping FBA, do I put them all loosely in one box? Or each book has to have its own box. If you have one-offs, do you recommend fba or fbm? If you’re sending them to FBA, usually you can just throw them all in one box. If you’re selling one offs, you can do FBM. Time well spent reading this article. Thank you. Where can I find these labels? They automatically pop up when you’re preparing goods for FBA. I believe it’s on the screen that says “prep for FBA” there’s a button that says print labels. 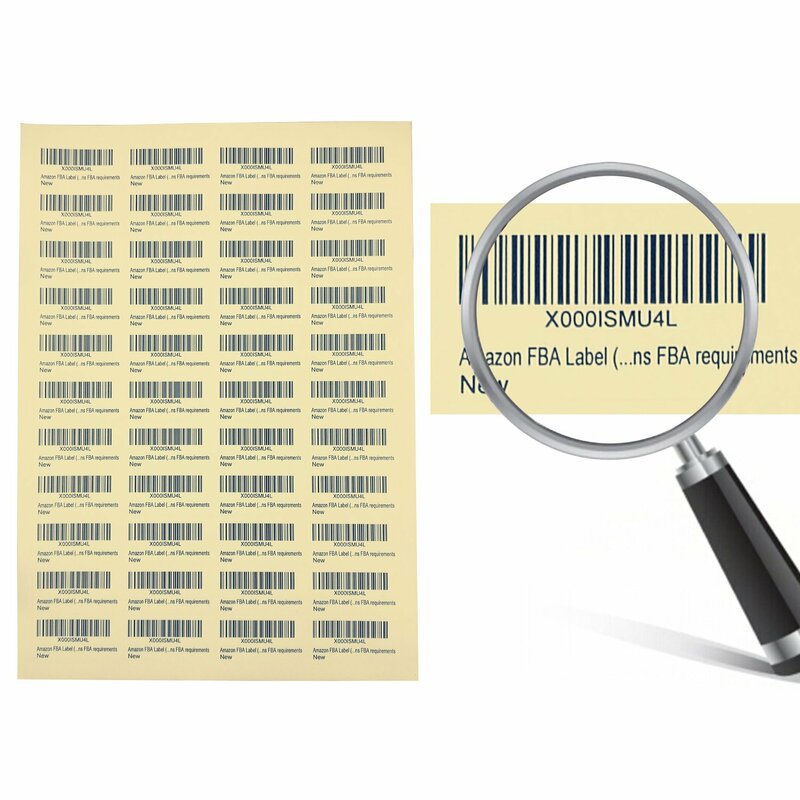 The label size is 1 in x 2 5/8 in address labels which you can buy at most office goods stores. Thanks, Dave for your replies. Do you wrap the books with cardboard cover before putting the label on them, or do you stick the labels right on the books and throw them into a box? I do a lot of my stuff FBM these days, so I don’t do labels as much. If I do textbook “zen arbitrage” where I’m flipping books bought FBM to FBA, I just stick it on directly. Only on collectibles do I get sensitive about the sticker placement. When I do FBM, if it’s something that can’t be folded, I’ll place two cardboard backers on either side (kinda like the type you’d use for comic books) and put into a padded envelope. I’ll then write “DO NO BEND” all over it. Thanks. 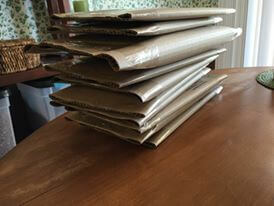 I am finishing my first fba shipment today – thanks to your blog post. Let’s see if this works in Europe as well. Good read. I’ll give it a try just for fun. One question though. How can Amazon accept a box where “I just throw in the books” without labeling each since one box would contain 40-50 different books. How do they stock them without a label on each book? They sent me an email today asking to put a label on each product, which seems like a lot of work. It can be tedious, yes. However, you can get Amazon to label them for you (I believe it’s an option under “prep for Amazon”), but there’s a higher cost. And since books tend to have some of the highest fees around–all media items have a base $1.80 plus 15% of the sales price, now)–adding more to it can hurt your bottom line. Interesting read! I’ve been looking at FBA but for private label, hadn’t considered physical books. I’ve been on the other side of Amazon selling for years, digital books, being one of the longest online independent e-publishers around, but in recent years there has been a big change in how Amazon handles that side. My question for physical books is, you say you just put them in a box and ship to a fulfillment center. Does a listing need to be included in the box with title and ISBN or something for identifier for the fulfillment center? Wondering the prep involved. Books are heavy also, does shipping costs of boxes of books become high? Again, though, great read and good info! When you’re going through the process, Amazon’s back end will give you a sheet of labels that you can print and stick on the books. If you’ve ordered a physical book from Amazon before, you’ve probably seen it. And when you’re shipping to an Amazon FC, you get to use Amazon’s negotiated rates, which are roughly $7-$10 for 50lbs. A typical “small book box” (like you can buy at Home Depot) usually can hold 30-40 regular sized hardbacks, so your total cost to ship to an FC is roughly $0.25-$0.30 per book. Sometimes it seems like the Amazon FBA margins are very slim with books. Is it just quantity that drives sales for books on Amazon? It’s more about just finding the right books, because you’re right… the margins can be very slim! Quantity surely helps, but it’s quality more than anything, which is why I recommend OA over the other formats which rely more on volume. The book reviews won’t affect your seller account as seller feedback and product reviews are two different things. You can check BSRs directly on Amazon. In fact, Amazon’s mobile app has a built in scanner, too. You can also use Jungle Scout’s Chrome Extension to automatically pull up the BSR information, too. How do you start a brand selling used books? Is it just similar to a store front name? And I suppose there is money to be saved by not doing ppc? It’s less of “starting a brand per se” as it is just wholesaling/arbitrage sharing every other listing, so the method is quite different from private label. 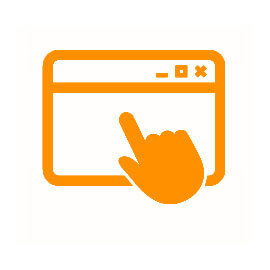 And yes, unless you’ve got the buy box for a product, you can’t do PPC. Question. How many hours per week were you putting in when you were making (profit?) $2-3k month? When I was doing FBM, I was spending about 3-4 hours per night. Once I switch to FBA that went down to 3-4 hours per week, most of which was spending time finding deals on wholesale books and listing the books on Amazon. I was working full time for most of that time, so I could only do so much with the book selling, but still made about $1000/month profit doing it as a side hustle. When I switched to OA, it got a lot easier, as I just created a list of “hot finds” and would look around for deals on those. It’s surprising how bad people are at pricing things on Ebay–of course, that’s a double edged sword, as they’re also terrible at getting the conditions right, so I end up spending a lot of time arguing over books with writing inside, stains, smells-like-smoke, etc. The trouble I had with books was that it’s not scalable. Once you hit a certain point, inventory gets harder and harder to find. That’s why I switched to private label. But book selling, OA, and RA are awesome bridges to getting into bookselling.